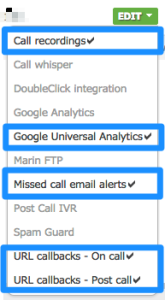 This article explains how to request all the required ResponseTap account settings, then the next steps to take to configure them to match the ResponseTap call tracking campaign that will be imported into your Infusionsoft account. When you receive these details, please send these details to us, then once you have done so, go ahead and get dynamic website placeholders and single numbers set up using these instructions. CRM for Small Business is an Infusionsoft by Keap Certified Partner, and Keap Certified Partner. We help UK-based users to implement Infusionsoft and integrate with common web services like GoCardless and CFH Docmail so they serve their clients more professionally and get paid quicker.